Hidalgo County District Attorney Ricardo Rodriguez talks during a news conference following the life sentencing of John Feit in the 1960 murder of Irene Garza Friday, December 8, 2017, at the Hidalgo County Courthouse in Edinburg. 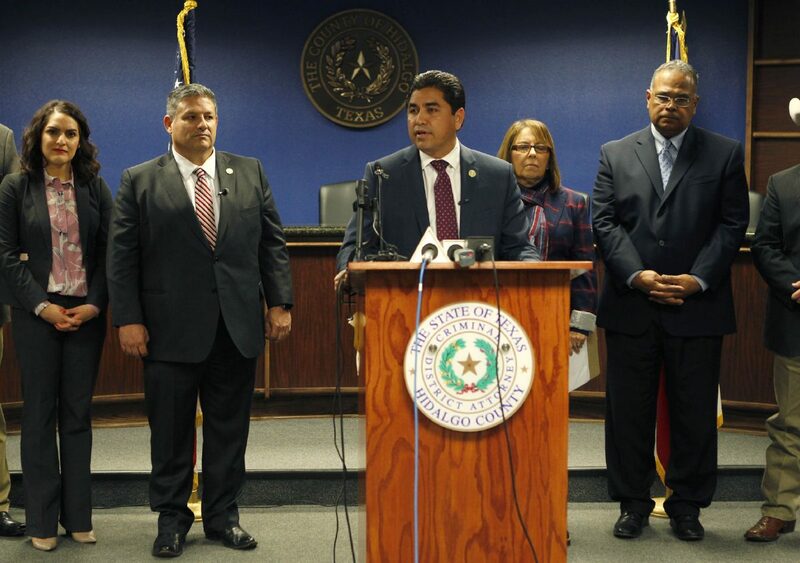 EDINBURG — Less than an hour after John Feit was sentenced to life in prison Friday afternoon, the district attorney held a news conference flanked by the prosecutors in the case and local law enforcement, including the sheriff and McAllen police chief. The media event’s tone often shifted from celebratory in response to the 85-year-old ex-priest being convicted of the 1960 murder of schoolteacher Irene Garza, to critical of the former district attorney who refused to indict Feit in the decades-long cold case. Still, Hidalgo County District Attorney Ricardo Rodriguez Jr. often insisted throughout the news conference that the day belonged to Garza, a beloved figure in her local community with a promising future as an educator, and who met a gruesome and untimely death at age 25. Lynda de la Viña reads a statement during a news conference following the life sentencing of John Feit in the 1960 murder of Irene Garza Friday, December 8, 2017, at the Hidalgo County Courthouse in Edinburg. But Rodriguez’s predecessor and upcoming opponent in the March primary, Rene Guerra, did not escape unmentioned. 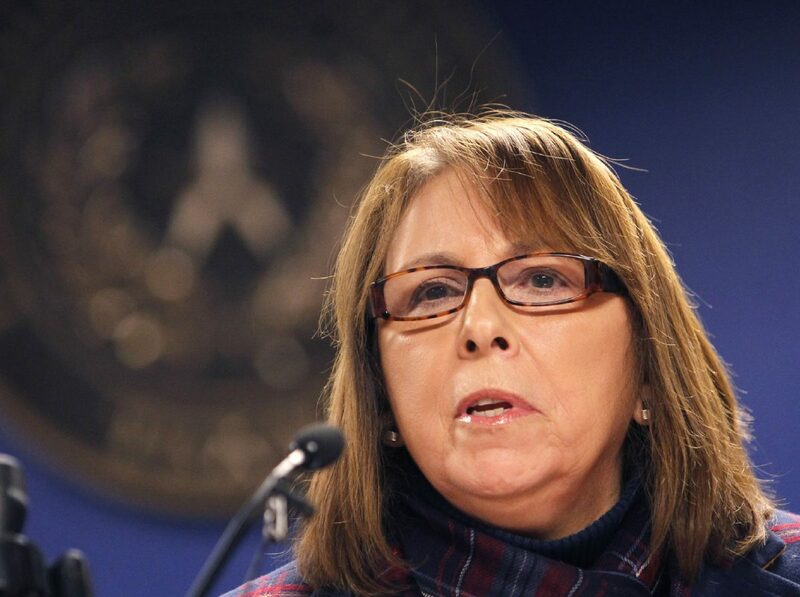 Guerra, who famously said the Garza case would be solved when pigs fly, was unseated in 2014 by Rodriguez, who campaigned on bringing justice to the victim’s family. Joined by a member of Garza’s family nodding in approval, Rodriguez didn’t mince words at the podium Friday regarding his critique of Guerra’s previous handling of the case. 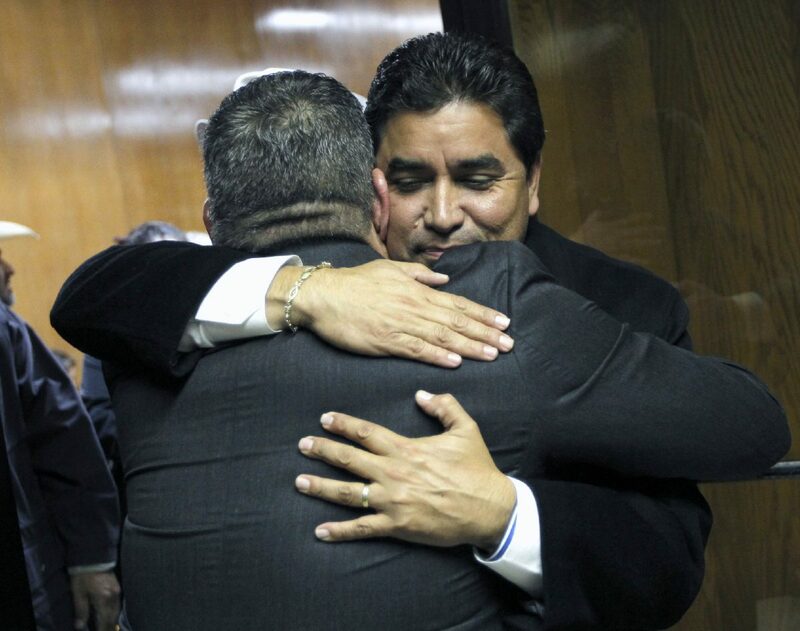 Also coming back to haunt Guerra this week was the aforementioned “when pigs fly” remark, which he said to local media in 2002 and has now become a rallying cry for those rejoicing over Feit’s guilty verdict and subsequent sentencing. In fact, memes depicting a flying pig with Guerra’s face have already began circulating in social media. It also quickly became the theme of the news conference. “I am proud to say that Rick allowed us to uncover this corruption that existed in 1960 that continued up into this millennium,” said Garza, a former defense attorney who joined the DA’s office after Rodriguez’s arrival. Lynda de la Viña, the victim’s cousin, called the rare snowfall from Friday morning “Irene’s snow — it was cleansing and it’s about renewal.” This is a sentiment many have shared since news of Feit’s conviction, with some pointing to the unlikelihood of either event occurring almost simultaneously. “And after 57 years we have found justice for Irene and we have spoken truth to power — to the power of the Catholic Church and to the former political leaders in Hidalgo County that let us down,” de la Viña added. She also credited law enforcement and the prosecution for their efforts, as well as the media for continuing to shed light on the cold case. Local and national media outlets have covered the story extensively, going back to the 1960s and again when the case was reopened during the early 2000s and in recent years.